I think it's good but ca any one compare it with P1i? please tell me which one is better. Hi i am considering whether to buy Nokia N78 or Nokia E52. 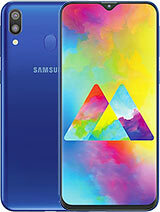 Which phone is better than the other in terms of the quality of pictures, internet connection and generally all other specifications? Can anyone help me? Err, what?, 13 Dec 2009Err, v3 nokias do not need antiviruses. Especially the later models.are u sure?? juzz, 13 Dec 2009ofcourse u need to install it to ur phone to avoid virusesErr, v3 nokias do not need antiviruses. Especially the later models. Is it necessary to install an anti-virus? Where can I buy this software? Jaea Mae, 08 Dec 2009thank you :)tnx you 4 posting your comment and question? Hello, is nokia N78 very irritating when its about typing super fast? plz plz kindly ans my q,though i know that mayb u talked on it before....plz plz ans. Nice phone with adequate specs. It DOESN'T have touchscreen, 5mpix cam w/ xenon or accelerometer like N82, but the design and other specs is really pretty much what i'd need in a cellphone. And about the keypad, i'm sure if you use them to type mail/text message regularly you'll get used to it. The design is simple but still look nice. Although it has a shiny case surface, i wouldn't mind cleaning it once in a while. All in all, it's just a great phone with an adequate specs. I love it. prv, 18 Nov 2009hi there.i have this phone nokia n78.d problem is recently i download some software and then l... moreAt first backup you contact . Now you phone is fresh. Nahian86s, 18 Nov 2009I like to play n-gage games,listen music,take pictures and watch videos. if i want to bye n78,... moreNo. Its keypad is very small for games. Other wise very good phone for music, camara, internet. Nokia N87 is a dual slider 12MP camera phone. Its features include: a 3.2 inch WVGA (800 x 480 pixels) capacitive touchscreen display, 16GB of internal memory and 600MHz processor.